Yellow HDMI cable is best used with woodwork – Choose the length and color of your cables to ensure the aesthetic appeal is maintained. Yellow HDMI Cables are best suited to be used around your woodwork so that it doesn’t stand out. 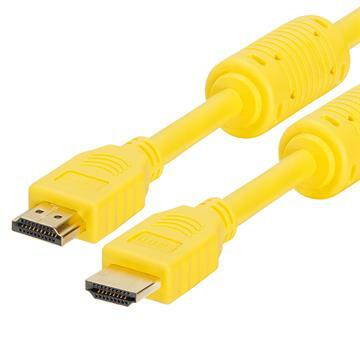 Yellow HDMI cord is available for purchase in various lengths offering versatility and practicality. When choosing HDMI cables yellow is the color to go with if you are trying to add a creative touch to a brightly colored room. HDMI yellow cable can connect to devices and displays.